I am happy you have chosen to visit my blog here at Vegan Chickpea. However, there are some terms and conditions you need to be aware of before using any recipes, information, or other material you find on this site. 1. You agree that you shall not use the website for any illegal purposes, and that you will respect all applicable laws and regulations. 2. You agree not to use the website in a way that may impair the performance, corrupt or manipulate the content or information available on the website or reduce the overall functionality of the website. 3. You agree not to compromise the security of the website or attempt to gain access to secured areas of the website or attempt to access any sensitive information you may believe exist on the website or server where it is hosted. 4. You agree to be fully responsible for any claim, expense, losses, liability, costs including legal fees incurred by us arising from any infringement of the terms and conditions in this agreement and to which you will have agreed if you continue to use the website. 5. This website is my personal blog. I am not a professionally trained chef, nutritionist or dietician. Rather, I am a home chef, recipe developer, and professional food blogger who likes to cook and bake and share my recipes and culinary creations with others. 6. Unless otherwise stated or attributed, the recipes on this blog are my own creations or from my own personal family collection. The recipes have been tried and tested by me but any recipes used from this site by anyone are at the user’s own risk. You may not always achieve the same results as I have due to various reasons including, but not limited to, individual cooking ability and skill level, quality of ingredients, ingredient variations and substitutions, cooking equipment and appliances, altitude, etc. Therefore, while care has been taken to provide readers with accurate information, users are to use their own discretion before taking any decisions based on the information on this blog. 7. As the owner of Vegan Chickpea blog, I assume no responsibility or liability for any consequences resulting directly or indirectly from any action or inaction taken as a result of following information contained on this site or in any linked materials. This means I do not accept any legal liability or responsibility for any injury, loss, or damage incurred by the use of, or reliance upon, or interpretation of any information contained on this site or in any linked materials. Therefore, readers are to use their own discretion should they choose to cook and/or consume the dishes made from recipes found on this site. 8. I sometimes link to other websites in various posts and pages. I do not take any responsibility for the content and links on third party websites referenced on this blog. 9. Recipe development is a time-consuming and costly process. A lot of hours and money have been invested in developing and testing the recipes found on this food blog. This means many hours have been spent shopping, cooking, baking, testing, writing, food styling, photographing, editing, and preparing content for publication to this food blog. I would ask that you please be considerate and respectful of this and that you do not misuse or misrepresent content from this blog – in other words, give credit where it’s due and don’t take content, including recipes, from this website and try in any way to pass it off as your own. a) You can use my photos without recipes wherever you like, as long as you, at a minimum, clearly link back to the post that it came from. Ideally you will credit the photo(s) with two clickable links, one back to the recipe post and one back to veganchickpea.com. b) I do not allow republication or duplication of my post or recipes text without prior consent. If you want to use one of my recipes, at a minimum rewrite it in your own words with a clickable link back to the original post, but my recipes must not be copied out in full anywhere else on the web. Please be respectful of the use of recipes from this site for which extensive time, effort, and expense have been put into their development. Therefore, if you use recipes from this food blog, please kindly show your support by acknowledging where the original recipe came from and by telling family and friends about the food blog and by informing them that you got the recipe(s) from Vegan Chickpea. Vegan Chickpea is a participant in the Amazon Services LLC Associates Program, an affiliate advertising program designed to provide a means for sites to earn advertising fees by advertising and linking to amazon.com. 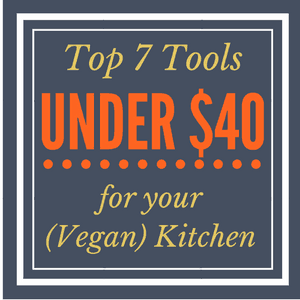 https://www.veganchickpea.com/ reserves the right to make any modifications or corrections to the information you find on the website at any time without notice.